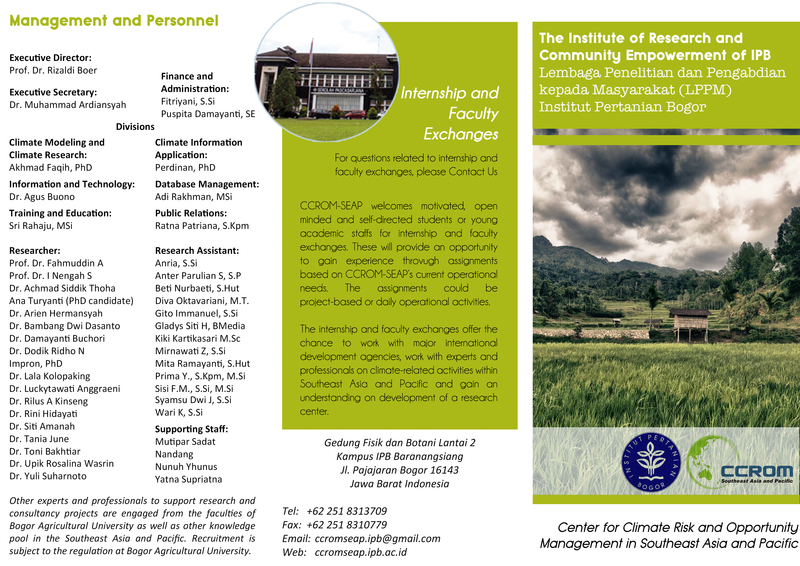 Rizaldi Boer is the director of the Centre for Climate Risk and Opportunity Management in Southeast Asia and Pacific (CCROM-SEAP), Bogor Agricultural University, Indonesia. He also works as senior lecturer at the Department of Geophysics and Meteorology, Faculty of Mathematics and Natural Science, Bogor Agricultural University. He has been involved in many national and international climate research programs related to adaptation and mitigation. Since 2008 when the university established CCROM SEAP, Prof. Boer has been assigned as the director of the center. 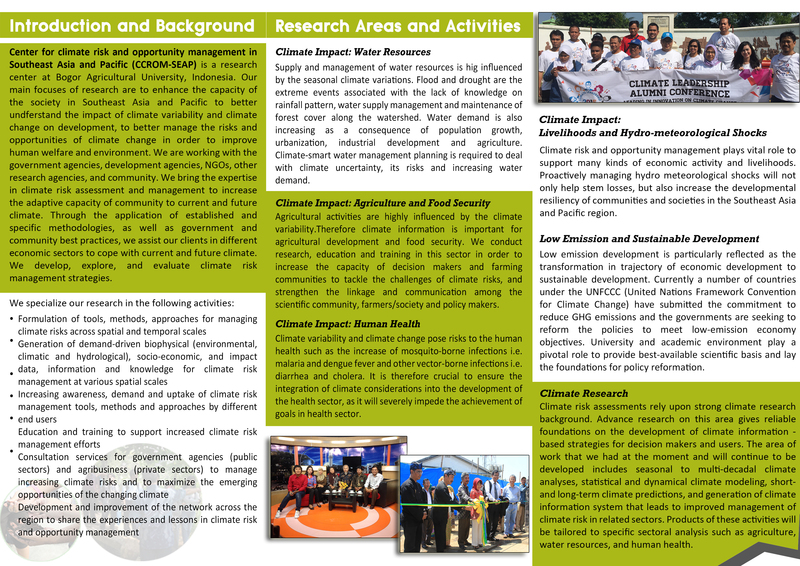 Most of his research activities deal with climatic risk analysis and climate change. He has been involved and has led a number of national and/or regional projects on climate variability and climate change. He has extensive experiences of working on a consultancy project with international organizations such as GIZ (German Technical Cooperation), Asian Development Bank (ADB), ADPC (Asian Disaster Preparedness Center), APN (Asia Pacific Network for Global Change Research), GEF – UNEP and International Research Institute for Climate and Society (IRI). In addition, he is assigned by WMO as chairperson for RA V Working Group on Agricultural Meteorology and assigned by UNFCCC as a lead reviewer of GHG inventory of Annex 1 countries. He is frequently invited as a speaker on climate variability and climate change and instructor in a number of training activities related to climate. Prof. Boer is also a teaching staff at Department of Geophysics and Meteorology, Faculty of Mathematics and Natural Sciences, Bogor Agriculture University since 1987. He has supervised more than 30 postgraduate students (Master and PhD) and more than 50 undergraduate students.